AMC's Emmy and Golden Globe Award-winning drama Mad Men kicks off its final seven episodes on Sunday, April 5 at 10:00PM ET/PT. Created by Emmy Award winner Matthew Weiner and produced by Lionsgate, Mad Men's highly anticipated series conclusion will, for the last time, follow the complex lives of Don, Peggy, Roger, Joan, Betty and Pete, and their families, colleagues, rivals and love interests, as their stories come to an end. To help celebrate the end of this era, AMC has released behind-the scenes interviews with several members of the cast and crew. Mad Men has earned seven Emmy Award nominations for Outstanding Drama Series, leading to four wins; three Golden Globe Awards for Best Television Drama Series; a Peabody Award; three Producers Guild Awards; four Writers Guild Awards; two BAFTA Awards; five Television Critics Association Awards, including Program of the Year; and for seven consecutive years has been named one of AFI's Top 10 Outstanding Television Programs. 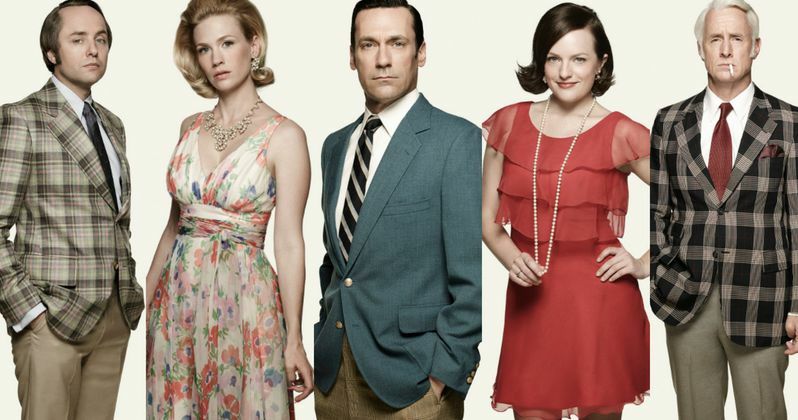 In just eight short years, Mad Men has showcased the 1960s through the eyes of the men and women at Sterling Cooper and Partners. While we wait to see how this show comes to an end, many are speculating that the final episode may be in early 1970, but we'll have to wait and see. Take a look at behind-the-scenes interviews with creator, writer, and executive producer Matthew Weiner and cast members Jon Hamm (Don Draper), January Jones (Betty Francis), Vincent Kartheiser (Pete Campbell), Elisabeth Moss (Peggy Olson), Christina Hendricks (Joan Harris), John Slattery (Roger Sterling), Jessica Paré (Megan Draper) and Kiernan Shipka (Sally Draper). How do you think Mad Men will come to an end? Take a look at these videos, and let us know what you think below. Mad Men Final Season Cast Photos: Welcome to the 70s!